The Spires Shopping Centre in the High Street, Barnet has been a local landmark since May 1989. It provides the population of Barnet and its’ environs with a much needed Shopping Centre. 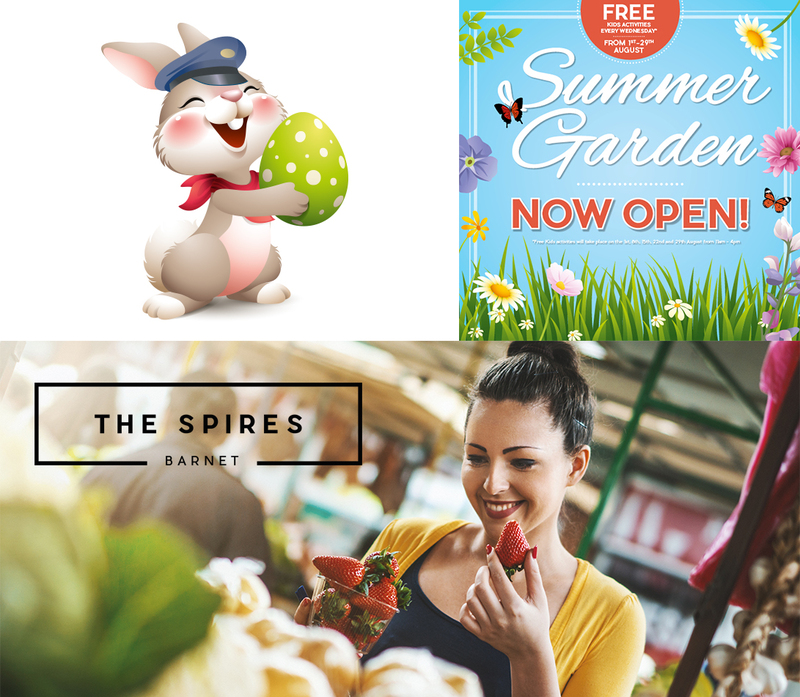 To provide design, marketing and print support for themed campaigns throughout the year including Easter, Mothers Day, Summer and half term campaigns as well as Christmas events. Initial design concepts, development and supply of event graphics including printed materials and on-line website and social media graphics. We provide all the elements required to successfully promote each themed campaign throughout the year.